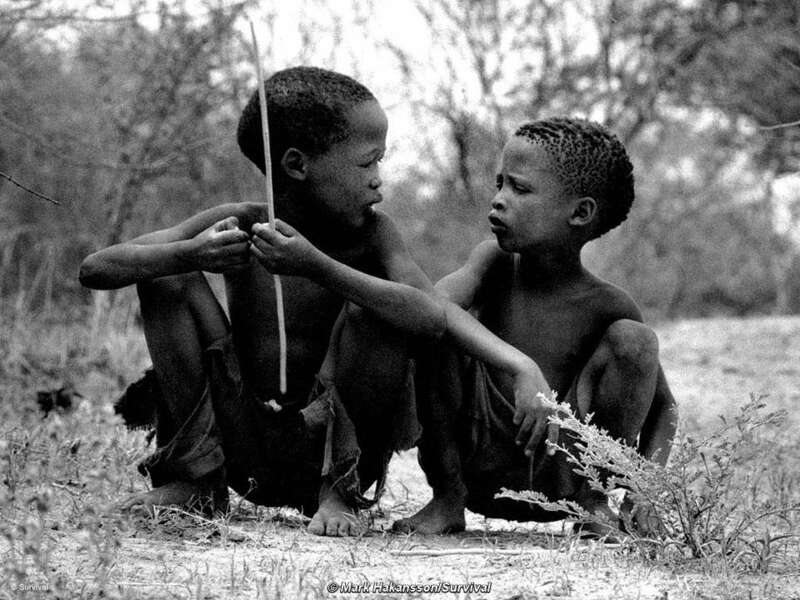 The Bushmen are the indigenous peoples of southern Africa. 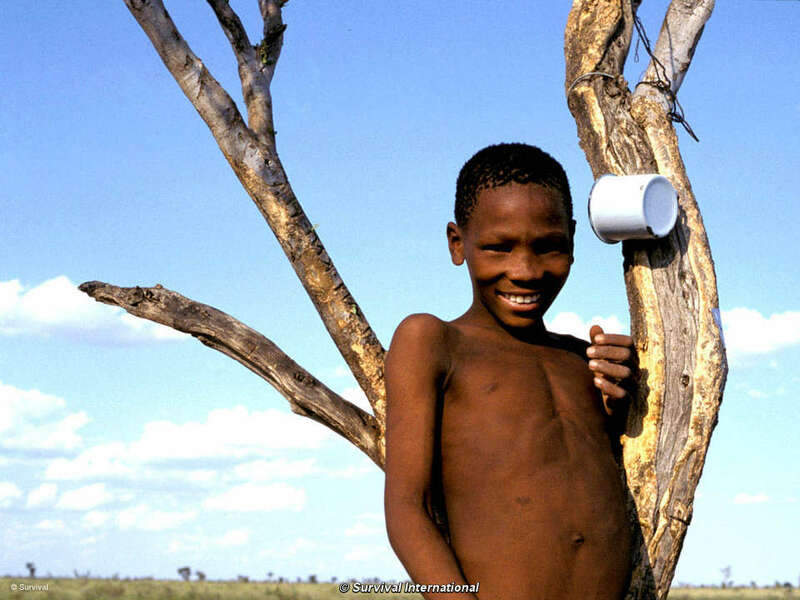 Largely hunter-gatherers, their territory spans several nations and they have called the region home for tens of thousands of years. 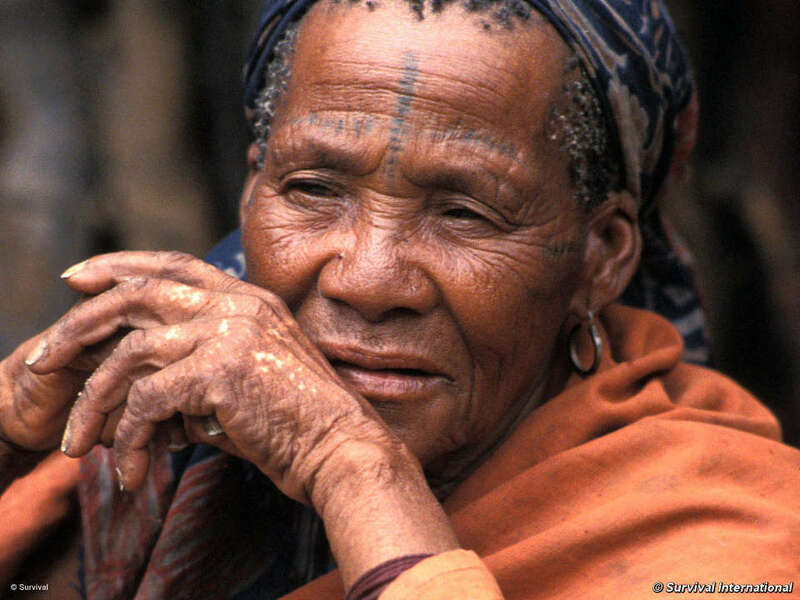 The tribes are well-known for the profound connection they have with their land, for their intimate knowledge of the natural world, and the delicate balance they have maintained for millennia with the environment. 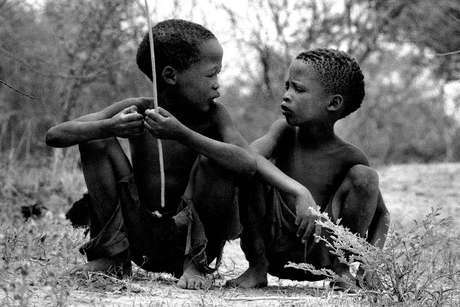 There are 100,000 Bushmen in Botswana, Namibia, South Africa and Angola. 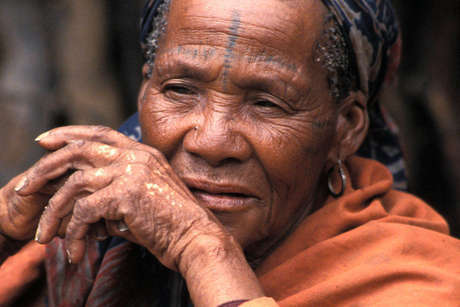 They are the indigenous people of southern Africa, and have lived there for tens of thousands of years. 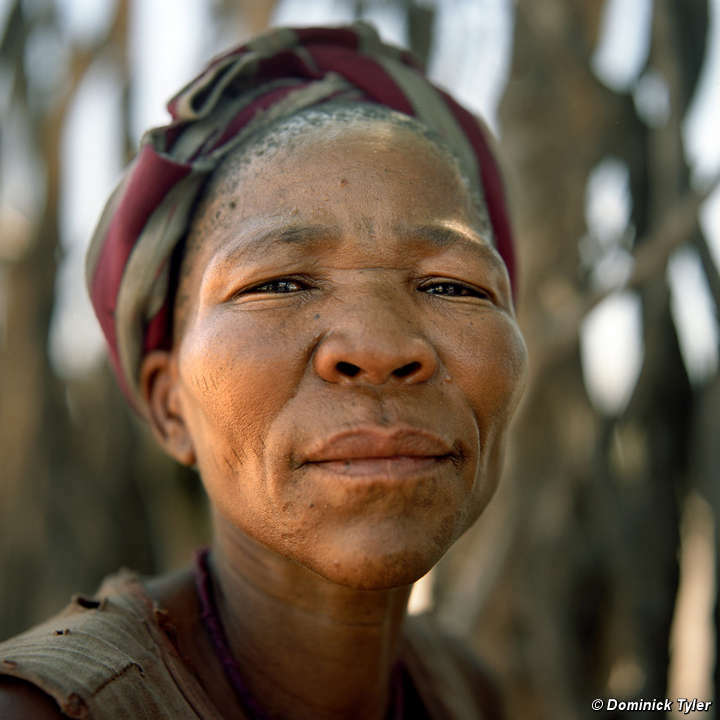 In the middle of Botswana lies the Central Kalahari Game Reserve, a reserve created to protect the traditional territory of the 5,000 Gana, Gwi and Tsila Bushmen (and their neighbours the Bakgalagadi), and the game they depend on. In the early 1980s, diamonds were discovered in the reserve. 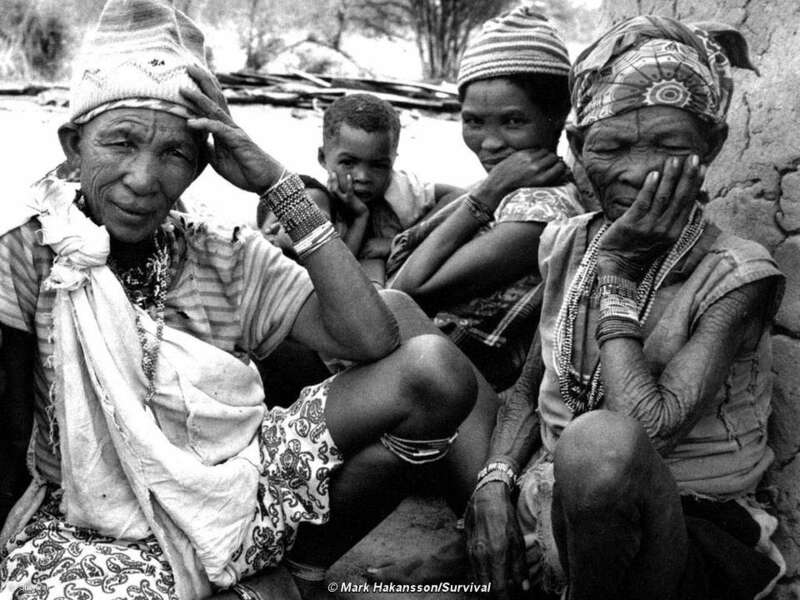 Soon after, government ministers went into the reserve to tell the Bushmen living there that they would have to leave because of the diamond finds. 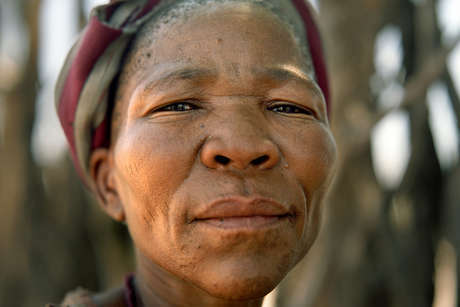 In three big clearances, in 1997, 2002 and 2005, virtually all the Bushmen were forced out. Their homes were dismantled, their school and health post were closed, their water supply was destroyed and the people were threatened and trucked away. Those who have not returned to the reserve now live in resettlement camps outside the reserve. Rarely able to hunt, and arrested and beaten when they do, they are dependent on government handouts. Many are now gripped by alcoholism, depression, and illnesses such as TB and HIV/AIDS. 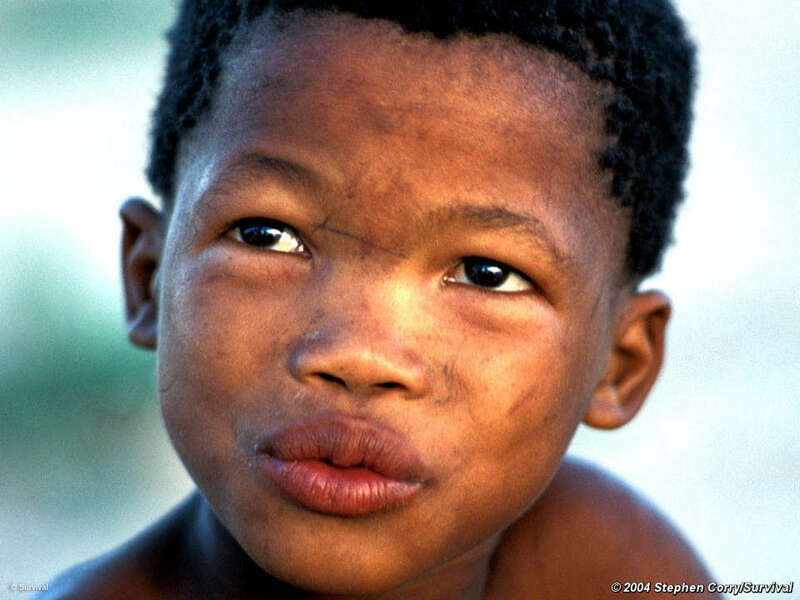 Bushman child, Central Kalahari Game Reserve, Botswana, 2004. 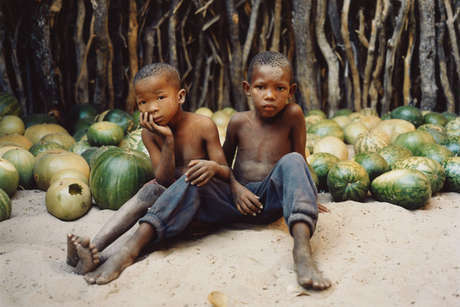 Unless they are able to live on their ancestral lands, their unique societies and way of life will be destroyed, and many of them will die. 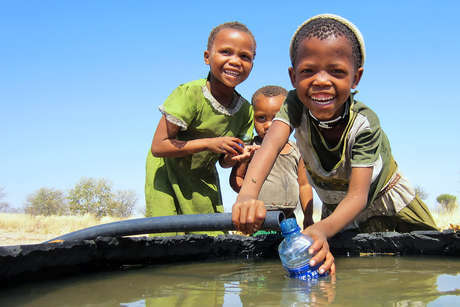 Although the Bushmen won the right in court to go back to their lands in 2006, the government has done everything it can to make their return impossible, including cementing over their only water borehole; without it, the Bushmen struggled to find enough water to survive on their lands. Bushman woman Xoroxloo Duxee from the Metsiamenong community, died of dehydration and starvation in 2005 after the government blockaded the reserve and armed guards prevented her people from hunting, gathering or obtaining water, Botswana. 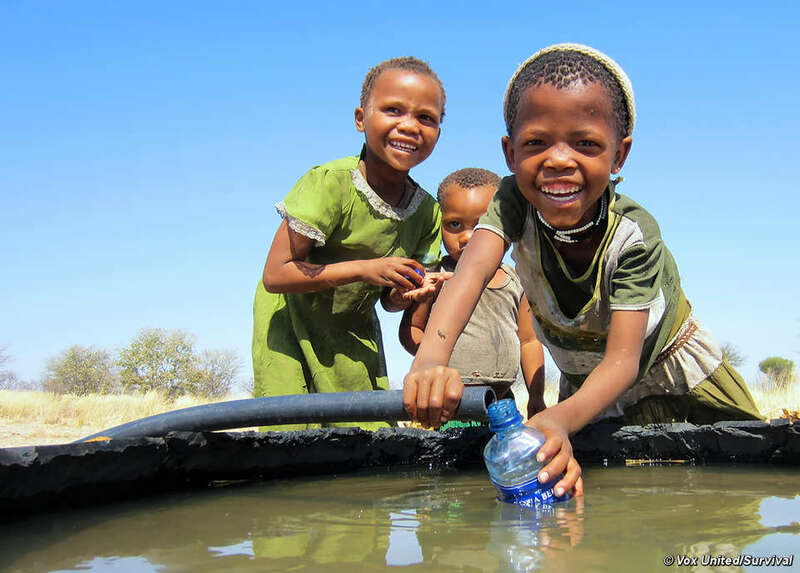 At the same time as preventing the Bushmen from accessing water, the government drilled new boreholes for wildlife only and allowed safari company, Wilderness Safaris, to open a tourist camp in the reserve. 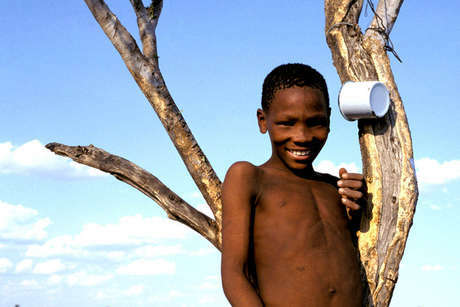 The Kalahari Plains Camp was opened after Wilderness Safaris entered into a lease with the government. However, the lease made no provisions for the rights of the Bushmen on whose ancestral lands the camp sits, nor were they consulted about the venture. While Bushmen nearby struggle to find enough water to survive on their lands, guests can sip cocktails by the camp’s swimming pool. 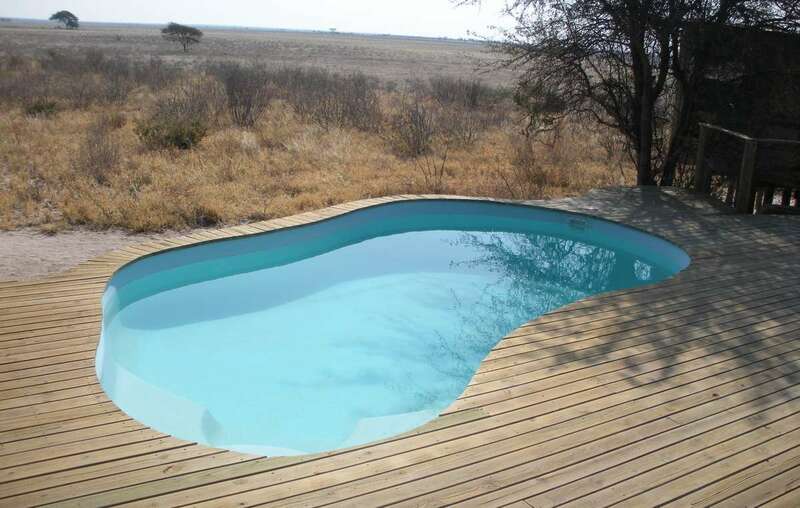 The pool of Wilderness Safaris&apos; new lodge in the Central Kalahari Game Reserve, Botswana. The tourist lodge was developed and built without the consent of the Bushmen, who have been living on this land for centuries. Enforced restricted access to the reserve for the majority of Bushmen, who must now apply for a one-month permit to visit their families. Its policy is clearly to intimidate and frighten the Bushmen into staying in the resettlement camps, and making the lives of those who have gone back to their ancestral land impossible. 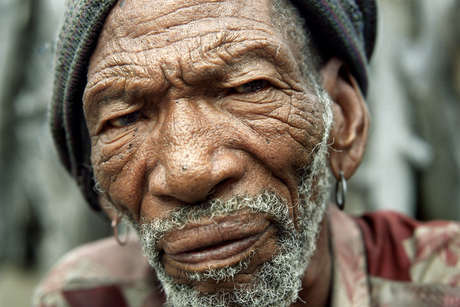 In 2002 the Bushmen took the government to court. They wanted the court to rule that their eviction was illegal. Due to procedural wrangling, evidence did not start to be heard until 2004. 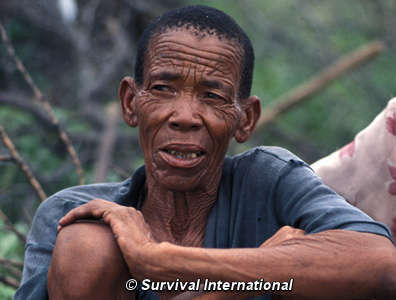 Gana Bushman leader and spokesman Roy Sesana, President of the Bushman organisation First People of the Kalahari (FPK), in the Central Kalahari Game Reserve, Botswana. 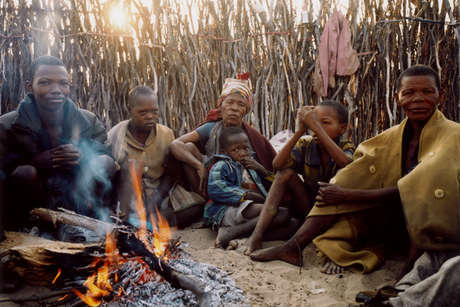 Although the Bushmen are Botswana’s poorest citizens, the case became the longest and most expensive in the country’s history. 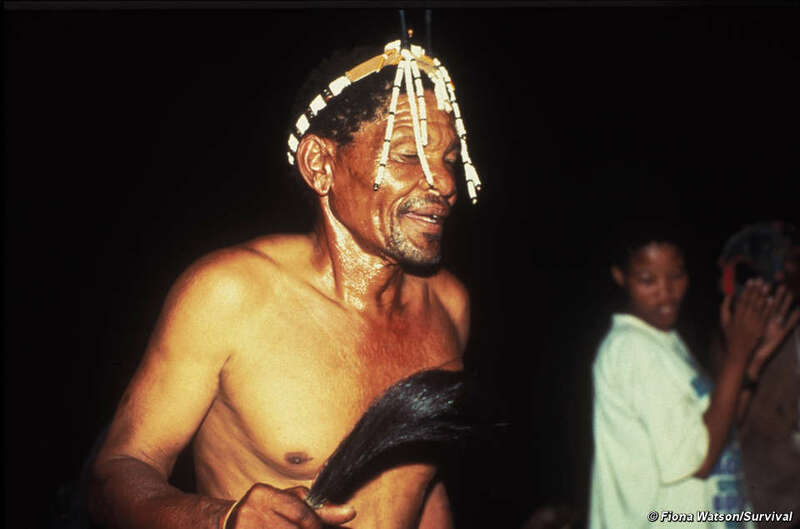 While the case continued, many Bushmen tried to return to their homeland in the reserve. Nearly all were evicted again by the government, some of them for the third time. 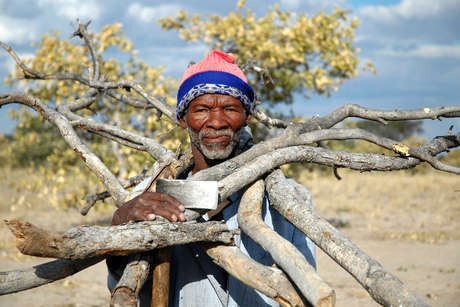 During the case, the key clause protecting Bushman rights in Botswana’s constitution was removed by the government. 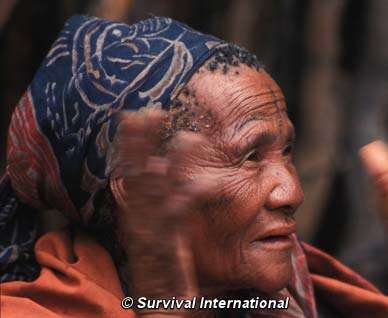 Through the generosity of its supporters, Survival helped the Bushmen bring their case. On 13 December 2006 the Bushmen won an historic victory. The judges ruled that their eviction by the government was ‘unlawful and unconstitutional’, and that they have the right to live inside the reserve, on their ancestral land. 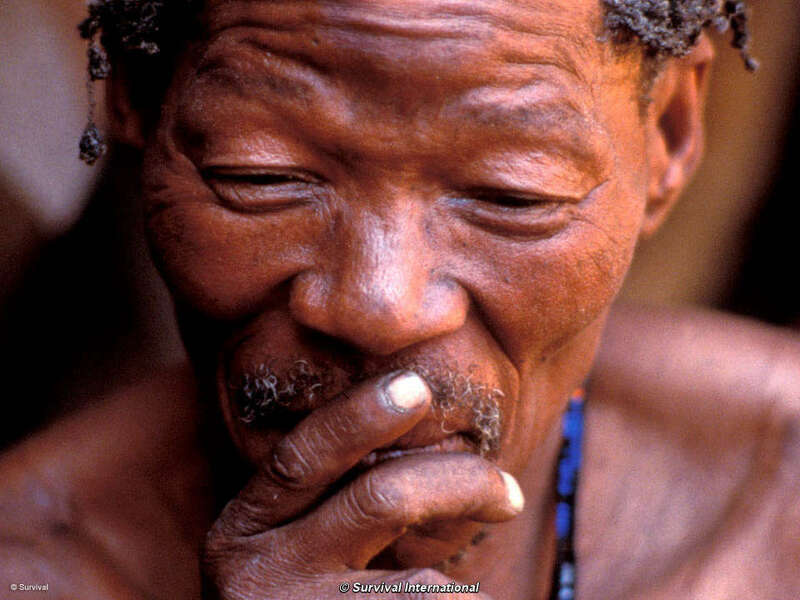 The court also ruled that the Bushmen have the right to hunt and gather in the reserve, and should not have to apply for permits to enter it. Read more on this landmark ruling. Although the government quickly announced that it would not appeal the judgment, it has since done everything it can to obstruct it. 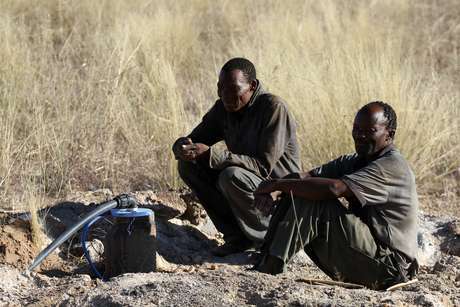 In 2010 the Bushmen took the government to court again in a bid to access water inside the reserve. 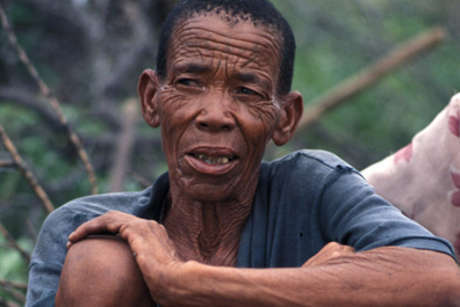 The judge dismissed their case, but in January 2011 Botswana’s Court of Appeal overturned the decision and condemned the government’s ‘degrading treatment’ of the Bushmen. 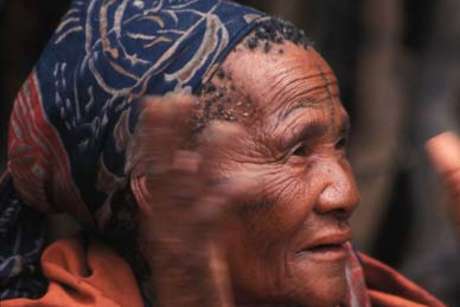 Two successful court cases have not deterred government attempts to uproot the Bushmen from their land. 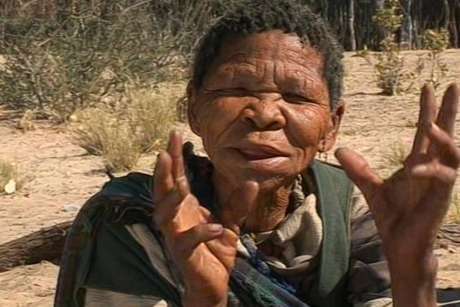 In 2013, the Bushmen again returned to the court to demand free access to the reserve, abolishing the government’s one-month permit policy. 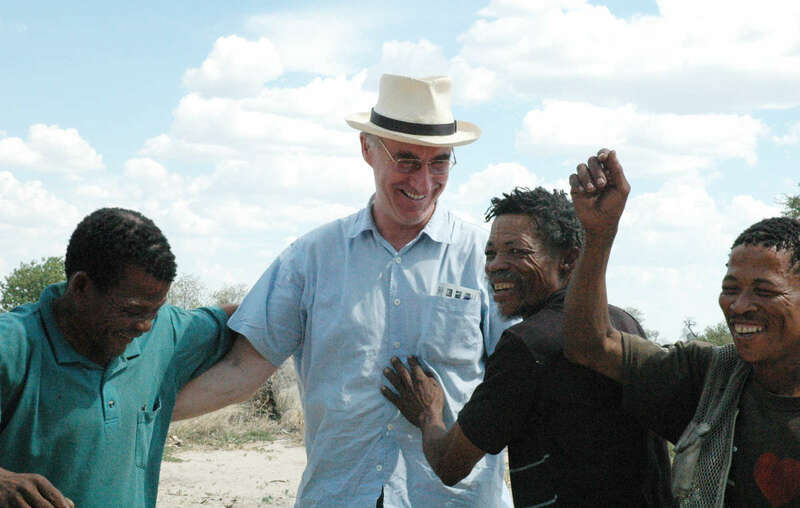 Lawyer Gordon Bennett with Bushmen clients after their historic 2006 legal victory. Botswana&apos;s government is now preventing him from entering the country. 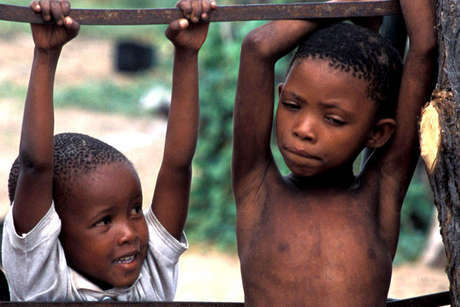 But at the last minute, the Bushmen’s long-standing lawyer, British barrister Gordon Bennett, was barred from Botswana. 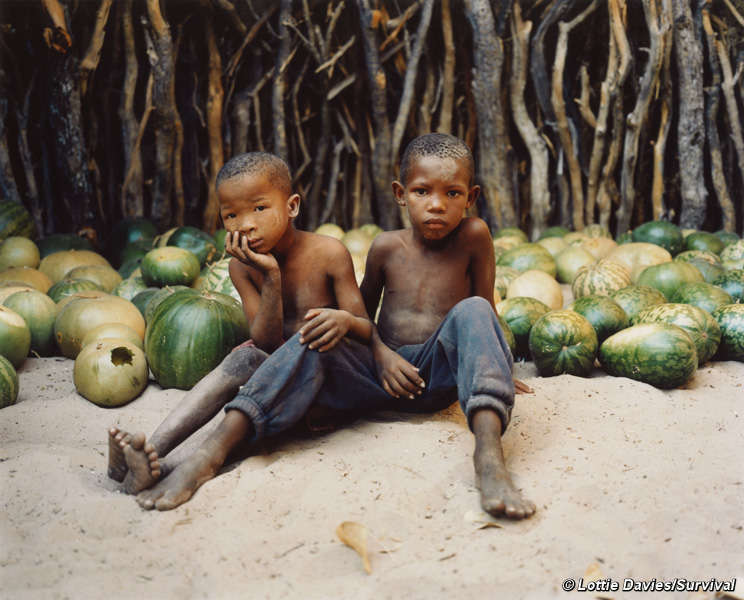 Their case was subsequently dismissed, and the Bushmen are now left without the legal representative of their choice, in stark contravention of international law. The Bushmen, Survival and many other observers believe that the Bushmen were evicted because their land is rich in diamonds. 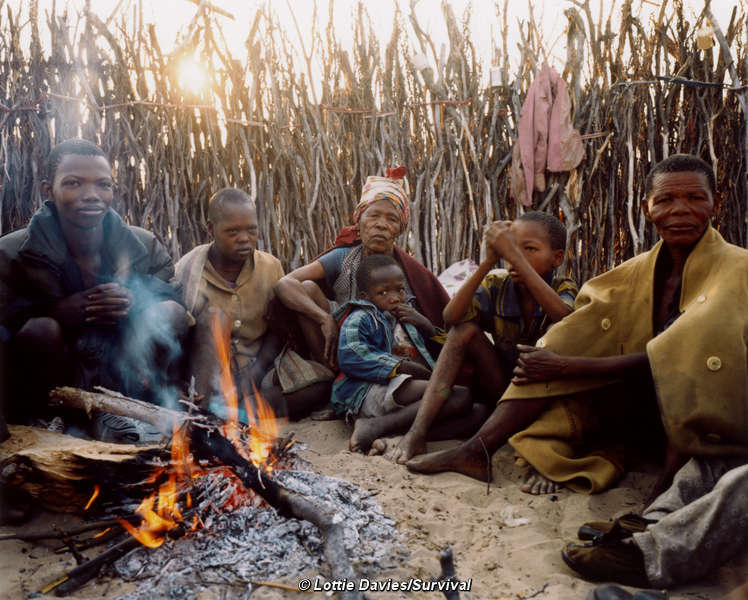 Bushmen at Gope before being evicted. Their reserve lies in the middle of the richest diamond-producing area in the world. 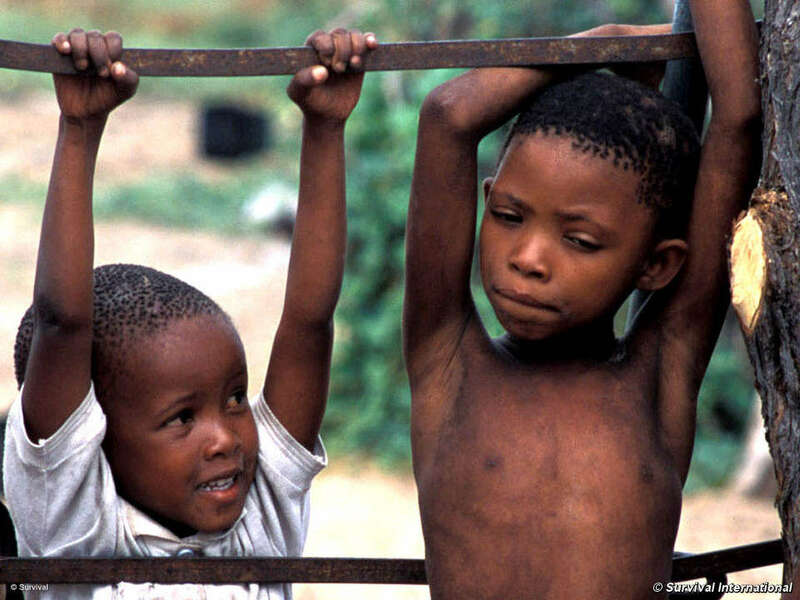 There is known to be at least one major diamond deposit in the reserve, at a Bushman community called Gope. Many other ‘kimberlites’ (volcanic rock in which diamonds are found) are present in the reserve. In May 2007 De Beers sold its deposit at Gope to Gem Diamonds, for $34 million. 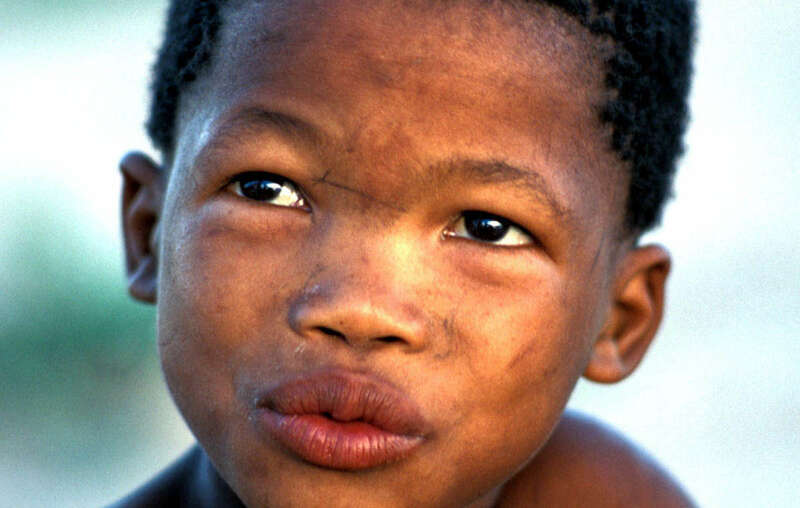 Gem Diamonds’ chief executive called the Gope deposit ‘a problematic asset for De Beers’ because of the Bushmen campaign. 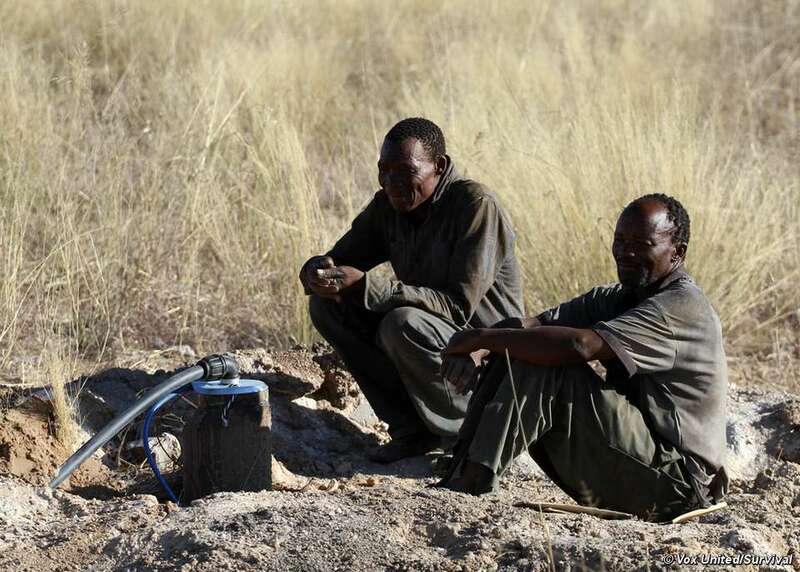 The Botswana government approved the mine, and previously stated that Gem would not be allowed to provide the Bushmen with water. The government has, however, reserved the right to use water boreholes drilled by Gem for wildlife. 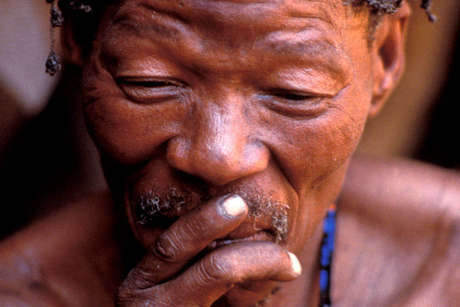 Gem Diamonds claims that the Bushmen are in favour of the mine, but the Bushmen have had no independent advice on its probable impact. Gem Diamonds has stated publicly that the Gope mine (now renamed ‘Ghaghoo’) contains a diamond deposit worth an estimated $4 billion. The mine officially opened in September 2014. Other companies are also involved. Petra Diamonds is exploring throughout the reserve and has identified the Gope and Kukama areas as priorities. 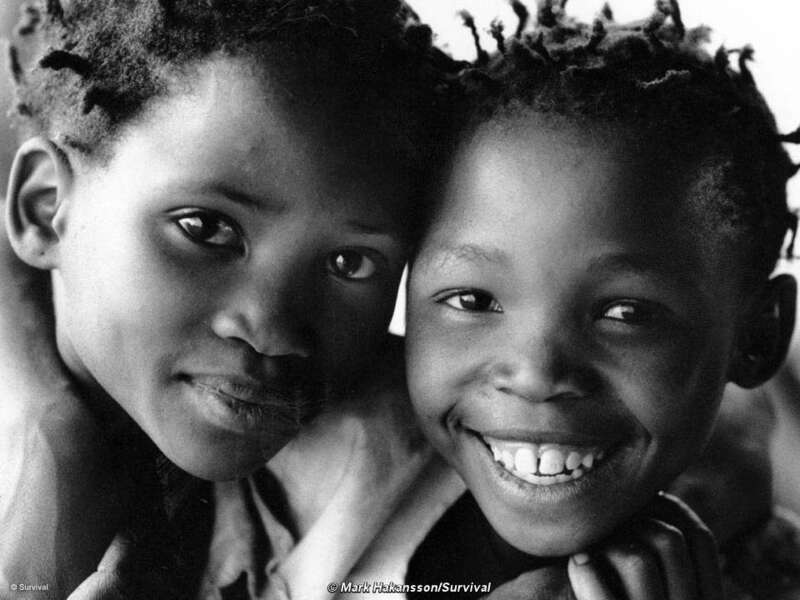 Tourism is Botswana’s most important market, after diamonds. Glossy images of Bushmen hunters are unashamedly used by Botswana’s Tourism Board to promote tourism to the country, while government authorities are doing everything they can to wipe out any last trace of the tribe. Tourists are openly encouraged to enjoy a ‘Bushman experience’, taking trips with Bushmen to learn about their hunting and gathering survival techniques and watch them perform ‘trance-dances’. 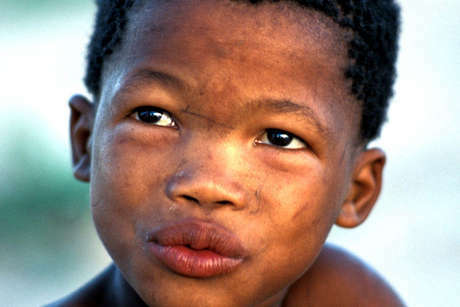 At the same time, the Bushmen are prevented from hunting and the majority are forced to live outside their ancestral land. 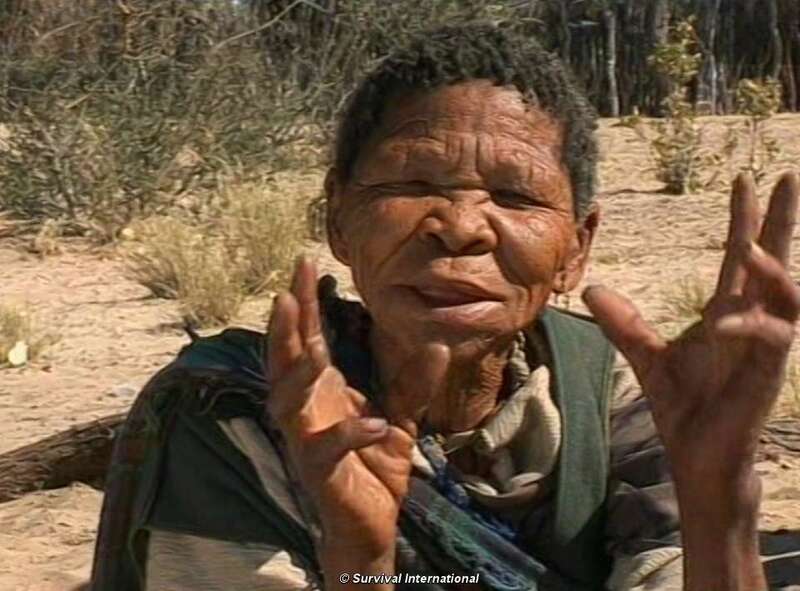 Survival is calling on tour operators and tourists across the globe to show their support for the Bushmen by boycotting tourism to Botswana. 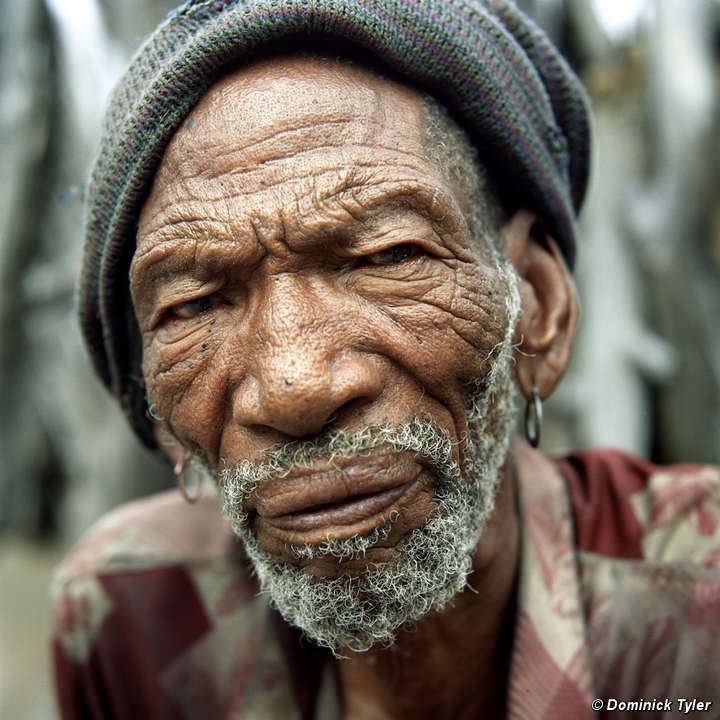 Public pressure is the only way to ensure the government respects the Bushmen’s rights. 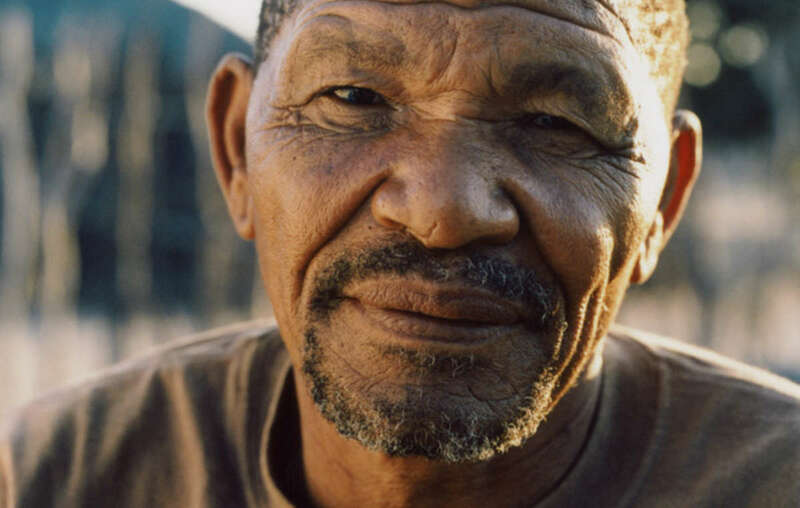 Former Robben Island prisoner, Michael Dingake, accuses President Khama of despotism, calling on him to stop the ‘genocidal’ war against the Bushmen. Richard Madden, sponsored by Wilderness Safaris, comes out against the boycott. 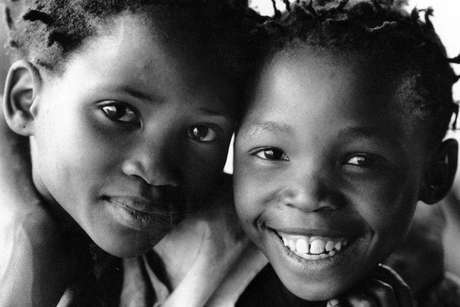 Christopher Booker describes the ‘ruthless persecution’ of southern Africa’s original inhabitants. 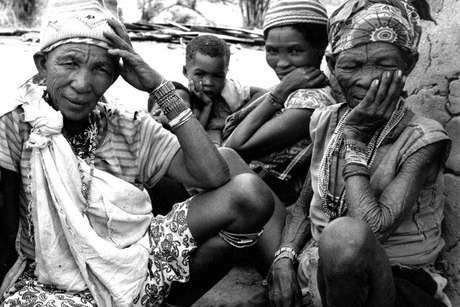 The BBC’s John Simpson asks why an otherwise enlightened government treats its Bushmen so obscenely. 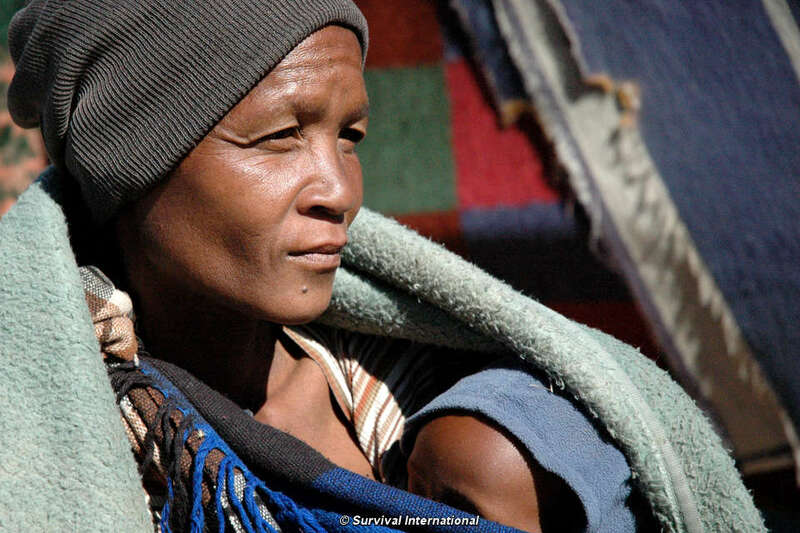 This factsheet, subtitled Botswana: diamonds in the Central Kalahari Game Reserve and the eviction of Bushmen, explains the issues surrounding the eviction of the Bushmen from the CKGR in detail. 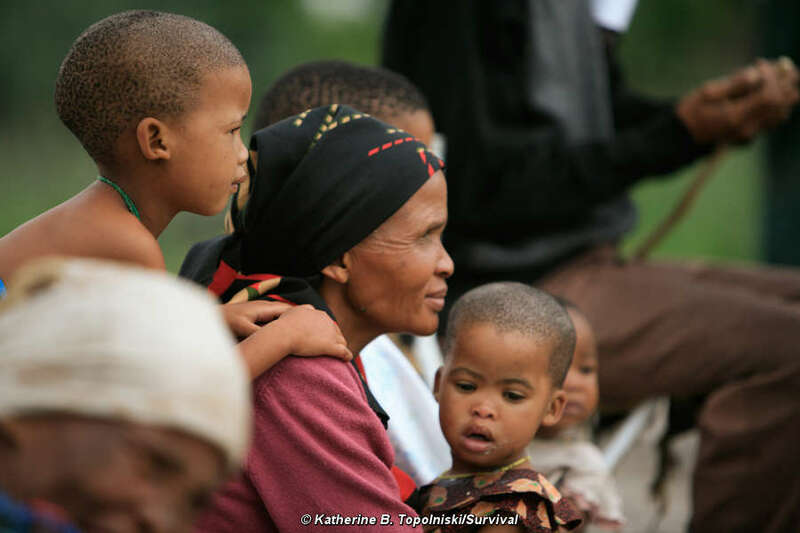 Your support is vital if the Bushmen are to survive. There are many ways you can help. 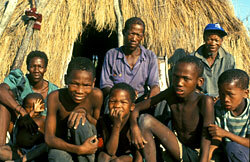 Urge Botswana’s President to respect the Bushmen’s rights in time for the country’s 50th birthday. 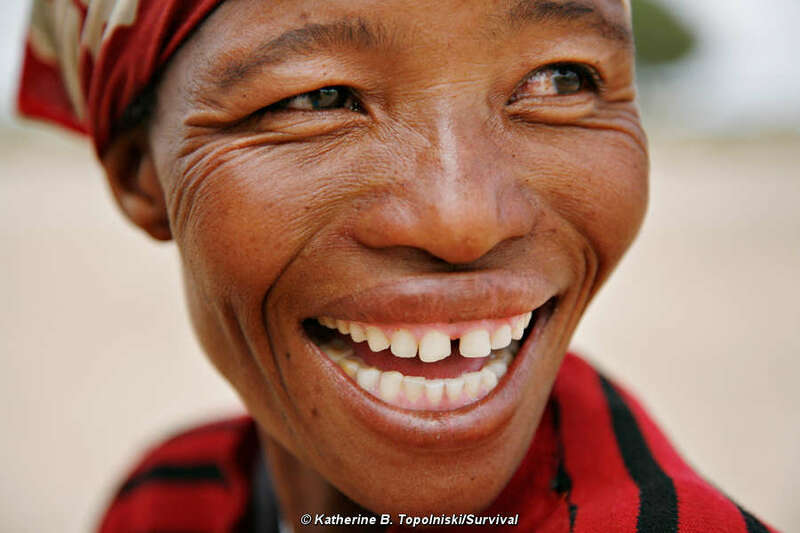 Donate to the Bushman campaign (and other Survival campaigns).